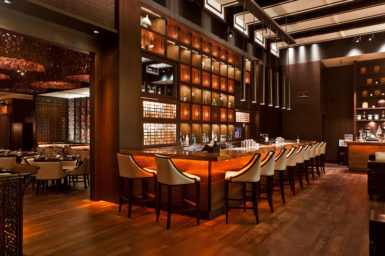 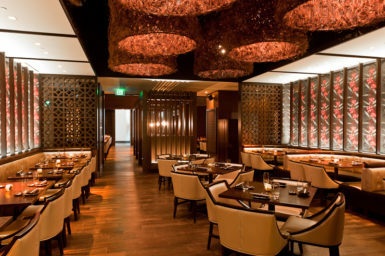 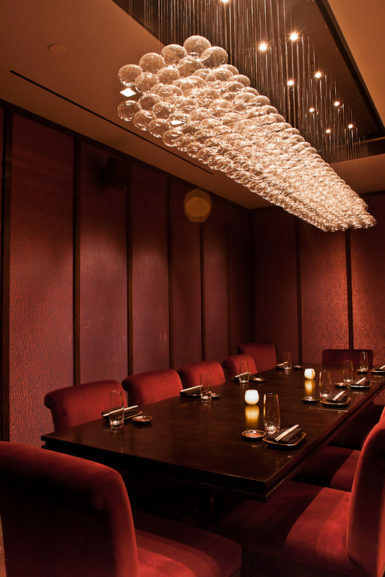 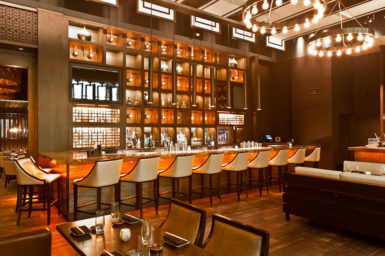 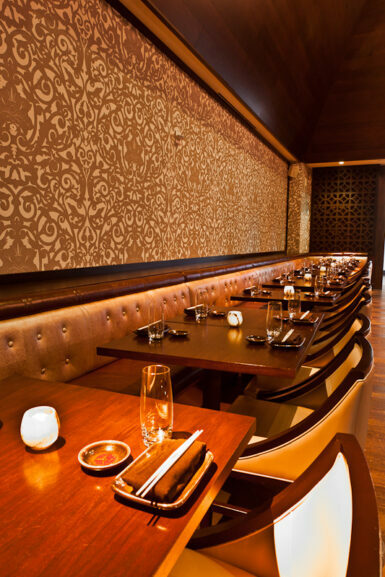 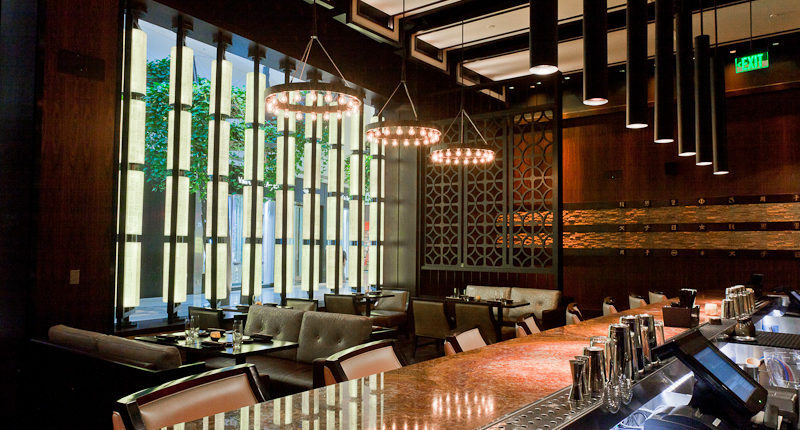 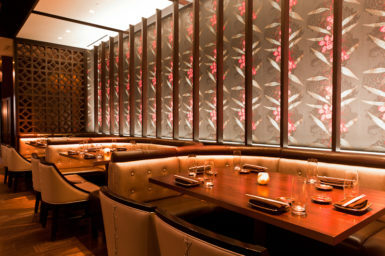 Crystals at CityCenter houses Social House, an innovative sushi restaurant that is intimate and warm. 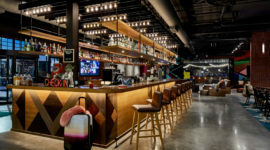 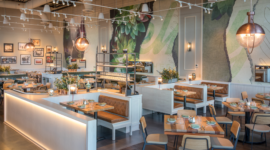 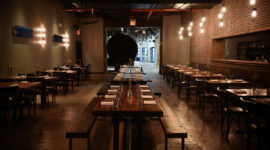 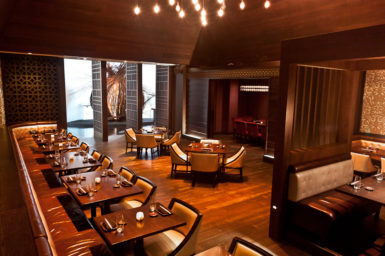 The restaurant’s layout is broken up into a series of dining rooms that all have their own distinct looks, with inspiration drawn from nature and Japanese hand-crafted skills such as woodworking, pattern making, and news printing. 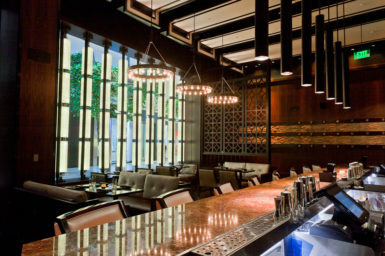 Custom made furniture, residential touches, hand-screened wallpaper, and unique lighting further bring the different spaces to life. 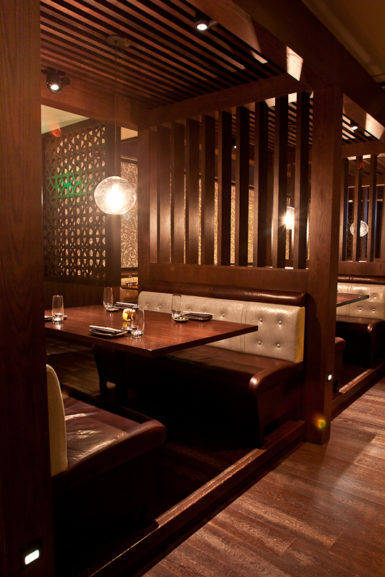 There is also terrace dining with floor lamps and living room-style furniture. 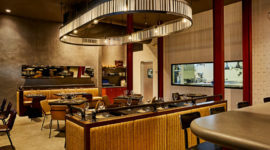 The design team worked under the local Architect of Record, BWA.